Allison has in-depth experience of the telecommunications sector and has been President & Group CEO of TDC Group since December 2018. TDC Group is the largest telecommunications company in Denmark. She was previously Group CFO and then President & Group CEO of Tele2 AB, the Swedish based challenger mobile operator. Allison has also held roles within 21st Century Fox, Virgin Media, Procter & Gamble and Guinness. She has been a non-executive director of Greggs (the UK’s leading bakery food-on-the-go retailer) since 2013 and is chair of its audit committee and a member of its nomination and remuneration committees. She is also a Fellow of the Chartered Institute of Management Accountants. Allison is currently President & Group CEO of TDC Group, the largest telecommunications company in Denmark. In May 2018, the business was acquired by a consortium including 3 Danish pension funds and Macquarie, the Australian infrastructure investor. Allison was appointed CEO in December 2018. Allison is also currently a non-executive director at Greggs (the UK’s leading bakery food-on-the-go retailer), having been on the Board since 2013. She is also chair of its audit committee and a member of its nomination and remuneration committees. 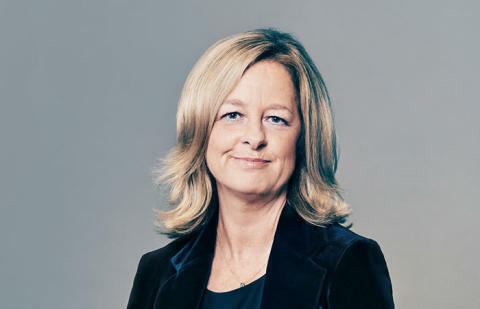 Between 2014 and 2018, Allison held the positions of Group CFO (2014-2015) and President & Group CEO (2015-2018) at Tele2 AB. Tele2 has operations in Sweden, the Netherlands, Lithuania, Latvia, Estonia, Croatia, Germany and Kazakhstan, with c. 17 million customers. Allison has worked across the TMT eco-system having been CFO of Shine Group (a division of 21st Century Fox) in 2011-2013, and Executive Director Finance at Virgin Media in 2010-2011. Prior to that she held a number of financial and operational roles at Procter & Gamble between 1990 and 2010. She qualified as a Chartered Management Accountant in 1990, whilst at Guinness PLC. BT’s purpose is to use the power of communications to make a better world. It is one of the world’s leading providers of communications services and solutions, serving customers in 180 countries. Its principal activities include the provision of networked IT services globally; local, national and international telecommunications services to its customers for use at home, at work and on the move; broadband, TV and internet products and services; and converged fixed-mobile products and services. 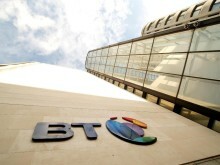 BT consists of four customer-facing units: Consumer, Enterprise, Global Services and Openreach. For the year ended 31 March 2018, BT Group’s reported revenue was £23,723m with reported profit before taxation of £2,616m.